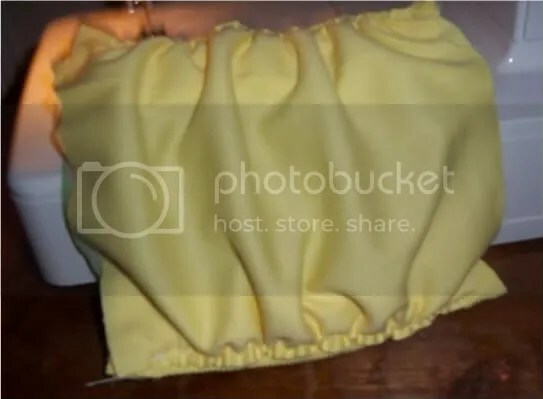 Make your own G Diaper style fluff! In my next post I will show you how to create the snap in waterproof “holster” to go with these, using FOE and PUL. 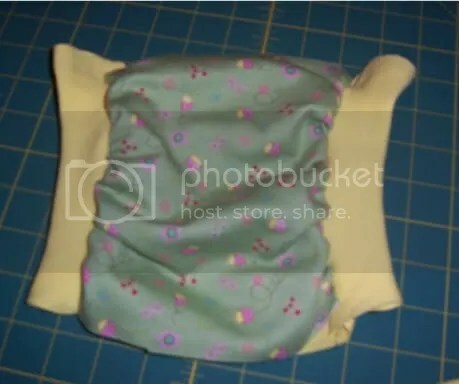 But for today, lets start with step one, the rib legged diaper. 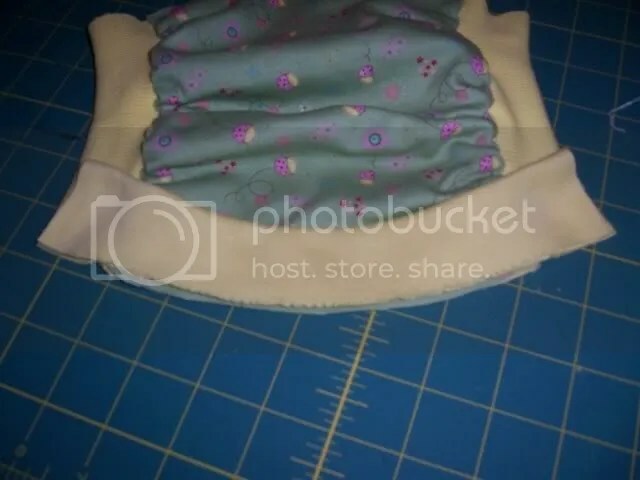 These save a TON of fabric as opposed to a traditional contour shaped diaper and the fit is great. 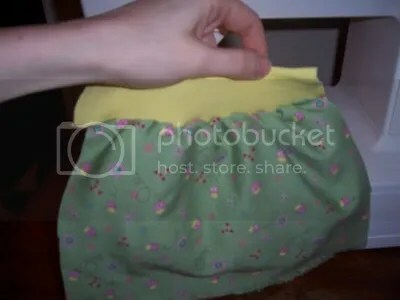 They can be used as a fitted diaper with a snap-in, hidden layer or lay-in soaker or even as pull up training pants. Fold the leg band ribbing in half legnthwise. Position it on top of the good side of one body layer. Leave enough ribbing extending above the top to grab from behind the presser foot, just as you would when working with elastic. Position the other body layer, good side down, on top of the ribbing. If you want to add a hidden soaker layer, it would go on top now. 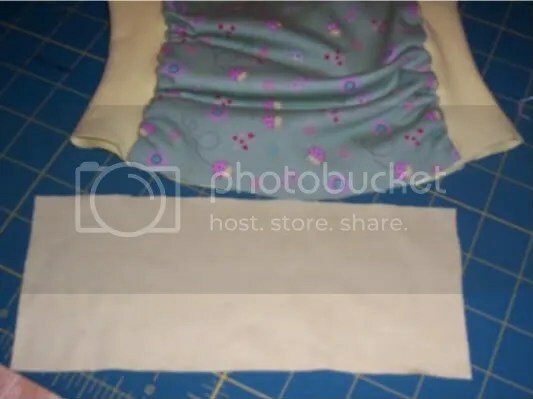 I reccomend using a stretch layer the same size as the other body layers, with a smaller soaker pad sewn to the middle. 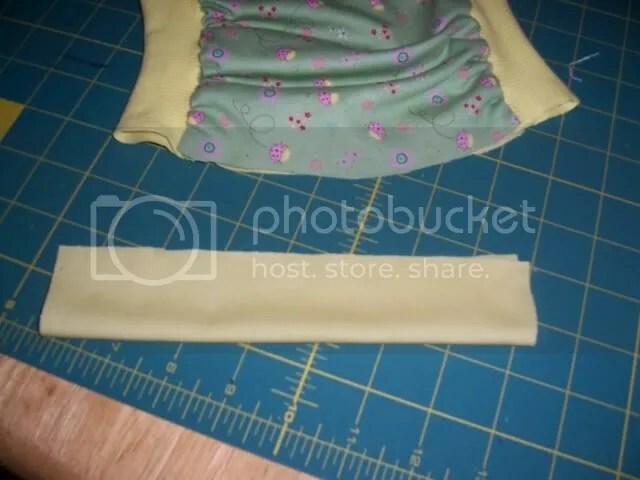 This way, you will maintain the stretch and not add too many layers to be sewn through. 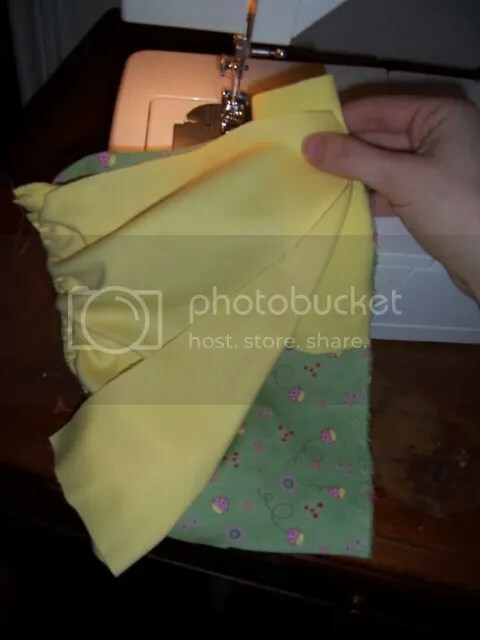 With the needle down, stretch the folded ribbing tight and line it up in between the unstretched body layers. 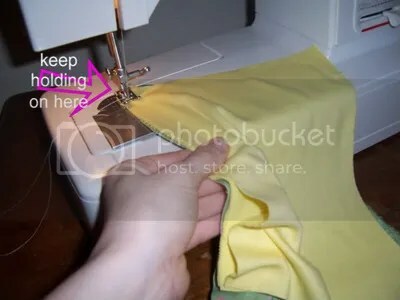 Zig-zag stitch through all four layers, all the way down the side. 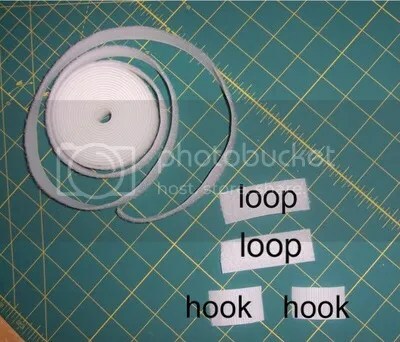 Since the body layers stretch only in the other direction, this is not as difficult as it sounds. Go slow and stop only with the needle down. Be careful not to let the any layers shift out of line. 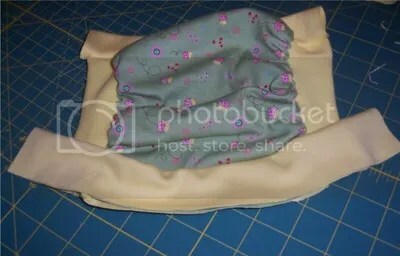 I like to stretch the ribbing all the way down and then take hold of it just a few inches from the top, sliding my grip down as I sew. Now repeat with the leg ribbing for the opposite side. It should be a mirror image of the other side. Folded side inward of the ribbing, all four cut selvages lined up on the edge. 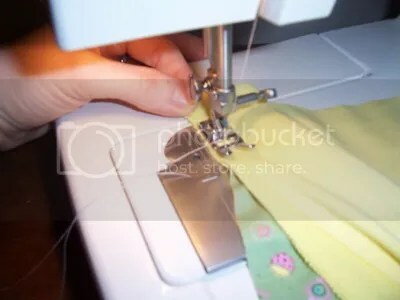 Go ahead and slice off any extra seam unevenness on each end, since the end seams will not be hidden like those pretty leg cuffs are. 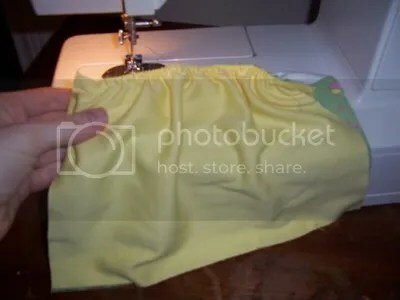 Fold the waistband peice in half legnthwise, good side out. 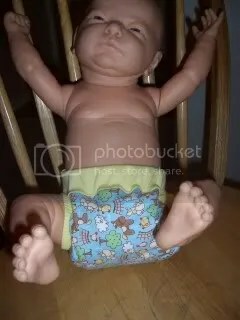 You will position it on the good side of the body peice. line up all cut edges. 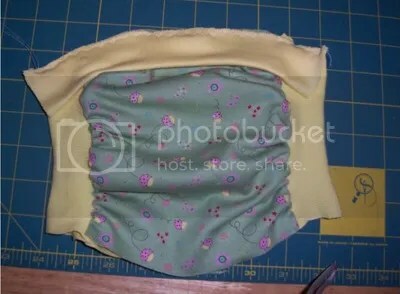 For the short side leave just a teeny bit of waistband (like 1/8′) extending past each side. 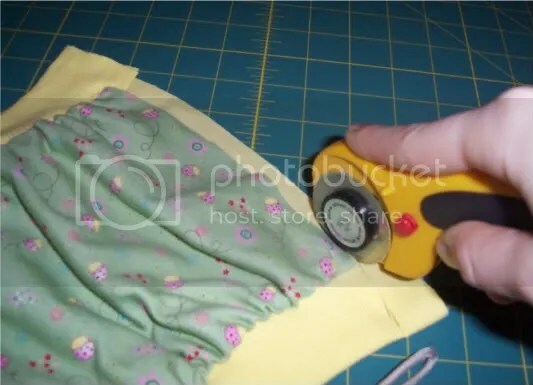 You can always trim it up after sewing if it turns out to be more than you need. 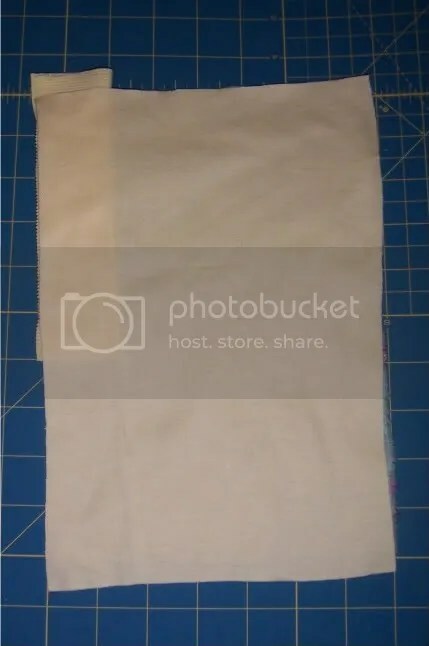 For the longer waist band peice, you will want to match up the middle of the banf with the middle of the body to ensure an equal amount of overhang is left on each end. 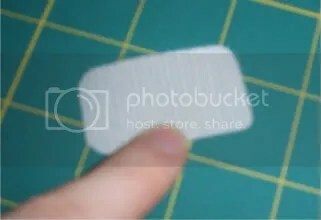 I’m not a big pinner but I reccomend using at least one pin to secure the middles together here. 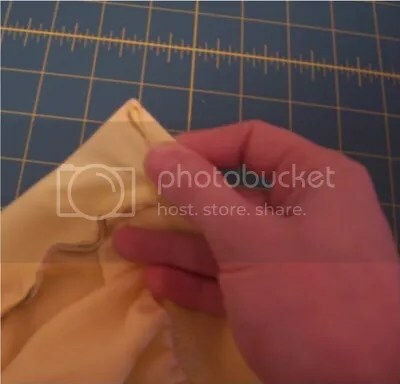 Attach a safety pin to one end of the elastic and insert it into the waist band. 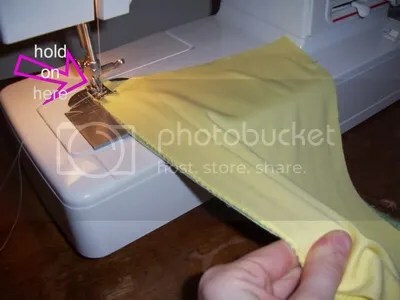 Use the pin to pull the elastic through to the other side. Reapeat this for the other waistband as well. 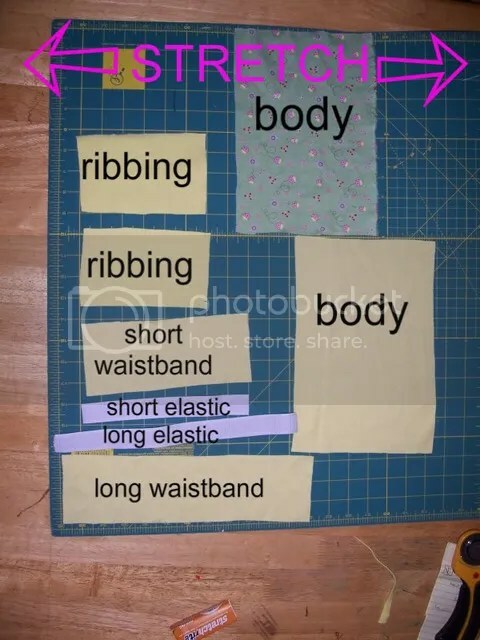 Be sure to use the right length of elastic for each side. 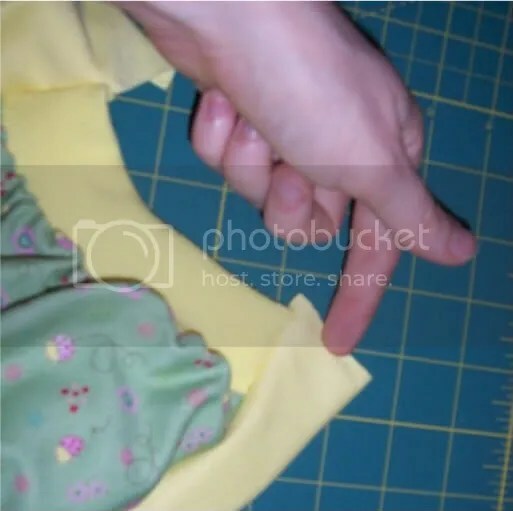 Before sewing on the velcro, round off all the sharp corners so there is no risk of scratching the baby. 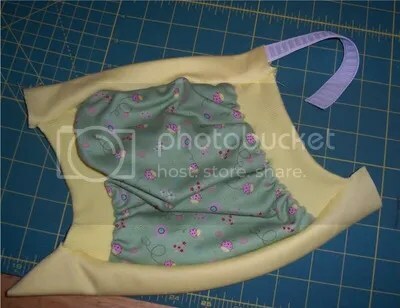 The Cloth Revolution diaper pattern is one of the most versatile designs available, with 10 style options. 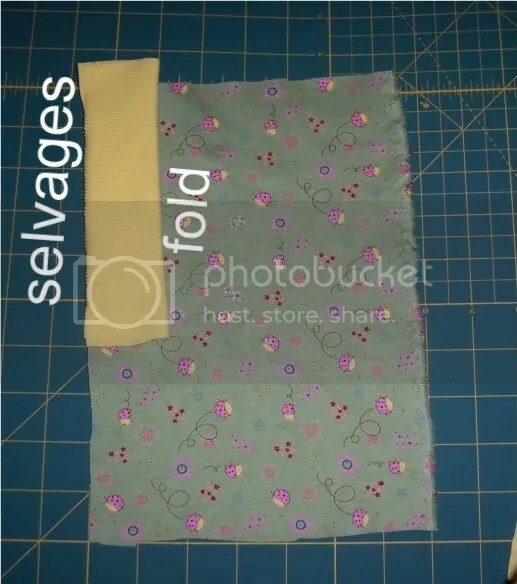 You'll love the fit of this fabric saving pattern. 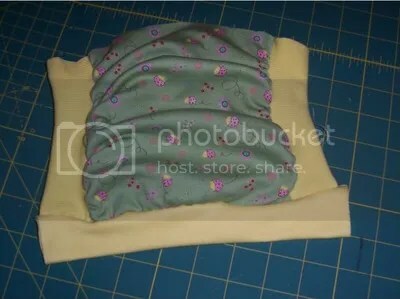 Cut 6 large layers, 8 mediums or 12 newborns from just one yard of fabric! Click the image to learn more.